Difference between tinted and non-tinted home windows. There’s plenty of reasons and upsides to tinting windows on your car, but it’s not only done on automobiles. 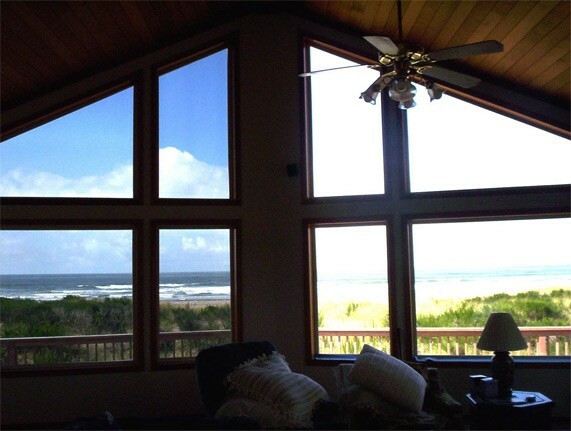 In face more and more people today are choosing to tint windows in their home or office as well for a variety of reasons. We’re about to list some of the main benefits of tinting home or office windows, so keep reading if you’re still indecisive about it! Tinted windows can actually help you reduce costs for electricity or energy. During hot summers quality tint can prevent your home from heating up too much, which in turn means your air conditioning won’t have to work as much (or at all). Also during cold winters window tint can help prevent heat from inside of your house from escaping, which reduces the need for heating your home as much. Even a few degrees can save you hundreds of dollars worth of costs during only one year, so you should definitely consider it. We all know frequent and prolonged exposure to ultraviolet rays can be harmful in many ways. You shouldn’t completely avoid being in the sun, but you shouldn’t be exposed to it throughout the day either. Tinted windows in your home or especially office can prevent harmful UV rays from going through the windows, thus helping prevent skin cancer or some other conditions. Direct sunlight can cause an annoying glare in your workplace or house, especially if you’re watching TV or working on a computer. Tinted windows help reduce the glare caused by sun to a point where you can almost completely open curtains or window blinds. 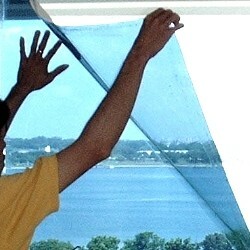 Darker window tint can also protect your privacy at home. You can make it significantly difficult for prying eyes of your neighbors or even potential criminals to see inside your house. Your home is a place of privacy and it should stay that way! Direct sunlight can easily cause discoloration on your furniture or furnishings inside your home. As we already mentioned window tint helps reduce the amount of light going through the windows and it helps protect everything inside your home from discoloration or other damage which can be caused by continuous exposure to sun. Keep your furnishings colorful by keeping it away from direct sunlight exposure and it will last longer. Applying window tint isn’t overly difficult if you intend to do it yourself, but it’s best left to professionals. Quality window tint will last longer and will be applied correctly if done by someone with previous experience so we recommend you leave it to someone else. Finding professional companies is typically not very difficult regardless of where you live. The whole process shouldn’t last more than a day (unless you have a really big house), and while it may be more costly than doing it yourself it’s definitely advised unless you know what you’re doing. Whatever you decide just remember the pros and cons of tinting windows in your home or office and we’re sure you’ll decide to go for it. The benefits far outweigh the costs and investments required.